The village needs a library for youth and other people who are willing to learn but suffer a lack of resource. It was observed that the youth in the village are extremely interested in joining government services on district and state levels. 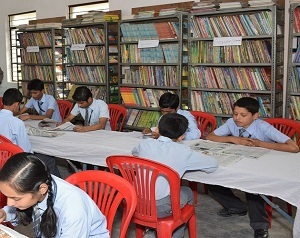 However there is almost nil availability of books to them. The people who have already got into these services provide the competitive books that they used for their preparation hence there is no availability of updated books and the extreme poverty ridden situation makes it difficult for them to arrange the same. Hence there is a dire need identified to set up a village library. Donation of books is also accepted.